I like copper, but had been told I could work in silver as my work was getting quite good, which I don't feel is quite there yet, and it would bring a better price for the same amount of work. 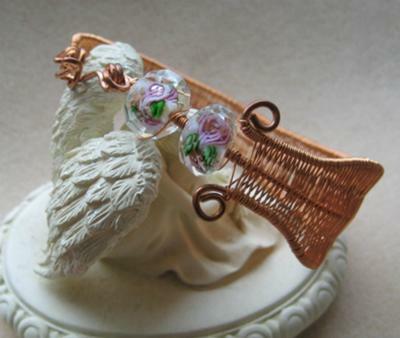 I thought I would check out the Internet and found a woven copper bracelet for what I thought was rather expensive. So, I thought, let me see if I can make something like it. Well here is my examples! Are they worth $90-100 each? I don't know. I just know that I like them and in silver who would pay $300-400 each. Anyway, my advisors are right, but: I can make them and sell my work for a reasonable price, so anyone can have a piece of art and not just the lucky few. 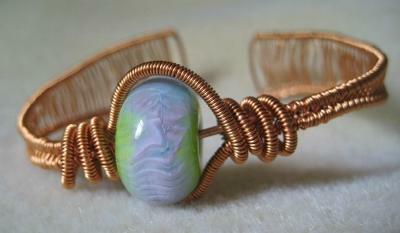 I make my bracelets out of recycled copper. I get the copper from televisions, microwaves, old wire (electrical) just peel the wire and start to work. Your bracelets are beautiful keep on working and you will be a pro in no time. 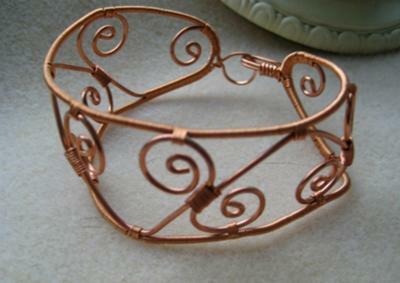 I like the idea of offering copper bracelets for the arthritis suffers since I suffer myself. Beautiful! 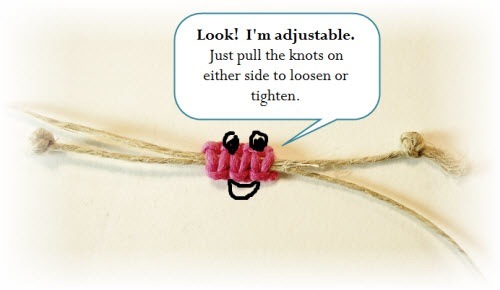 How about selling them as art bracelets for arthritis sufferers? 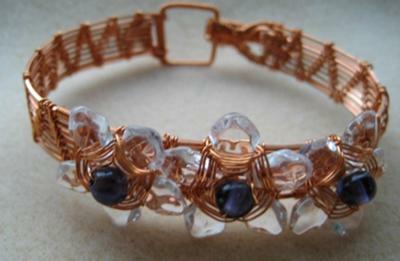 I know that a few people with arthritis that swear by copper bracelets but hate the copper arthritis bracelets. 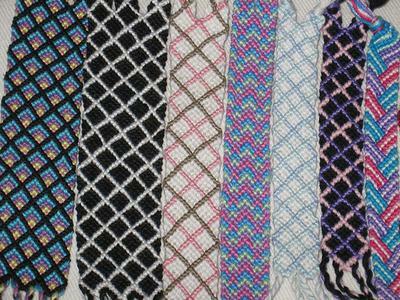 I had someone try to buy a similar type of bracelet right off my wrist but I liked it and didn't want to give it up (but had no interest in making more;(I'm too experimental to do the same thing twice). So to answer your question, yes, you could easily ask that much money, but I'd target it to arthritis sufferers for marketing purposes. (They're the ones that would appreciate them most!). What a wonderful person to think of people that don't have as much money as others. For people that don't have money like myself a BIG thank you. 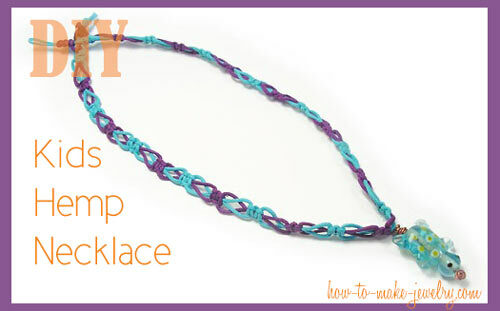 I have been trying to make jewelry but just don't have money for all the pieces in one way or another. No friends to help.